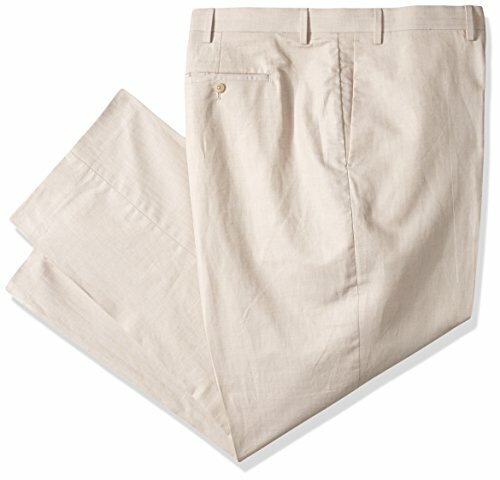 The Cubavera cotton linen herringbone flat front pants are your new go-to linen dress pants. Whether you choose to wear them to the office or for a night out, this pair of cotton/linen blend pants feature a flat front style to give you a more modern silhouette. Wear them with a guayabera shirt for a casual look, or make them part of a 3-piece linen suit by pairing with our cotton linen herringbone jacket and cotton linen herringbone vest. If you have any questions about this product by Cubavera, contact us by completing and submitting the form below. If you are looking for a specif part number, please include it with your message.